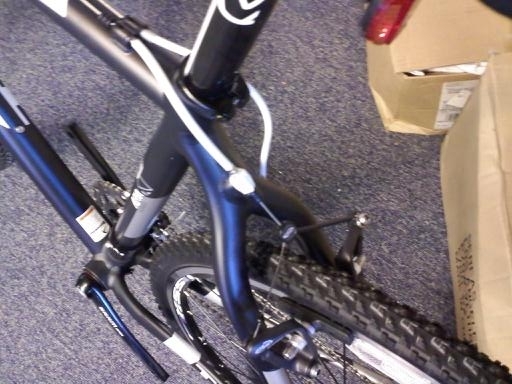 The 2011 Trek XO 1 in it’s stock form . 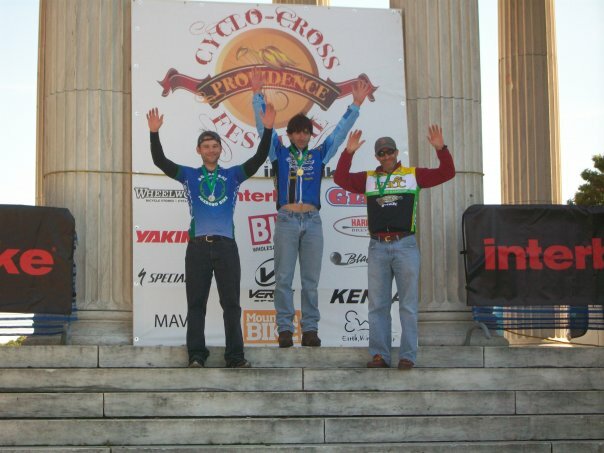 When it came time last summer to decide on a new cyclocross bike it was a tough decision to make. With most of our suppliers making a cross bike these days I had to decide on which bike would be the best bang for my buck and would also give me a very good chance at being competitive . On top of this I wanted a bike that would also sub in as my road bike or commuter if needed. 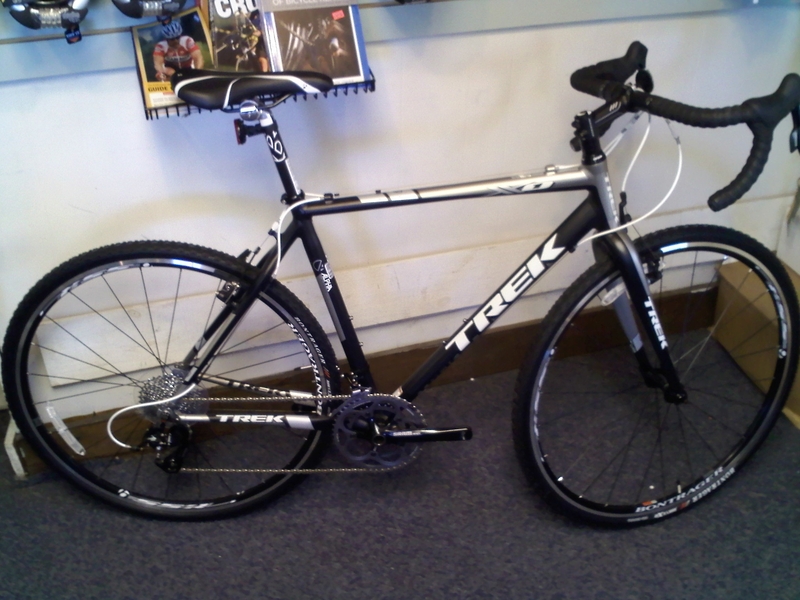 After much deliberation I decided to go with the 2011 Trek XO. Offered in two models ( the 1 and the 2 ! ) I went with the first model in the lineup being the 1 . Both bikes share the same frame and fork but offer different component groups. Also for my application I would be using parts from last year’s race bike that I still had lying around. For 2011 the XO 1 comes in a silver/black semi gloss combo . The XO’s tube shapes vary depending on their usage on the bike and weld spots are very clean. The XO has it’s own look, it’s clean looking with a very understated look of speed. In stock form the XO 1 sports Sram’s newest parts group called Apex. Right out of the box Apex is a great parts group for this bike’s price range. Apex will give you great performance and durability at a very affordable price . Wheel duty on the XO 1 is handled by Bontrager’s very trusty and time tested SSR standard spoked wheelset. This wheelset has been ridden , raced and commuted on by thousands of riders over the past couple of years with great results. The XO’s cockpit is made up of Bontrager Race & Race Lite bars/stem/seatpost/saddle . Bontrager parts are awesome when it comes to the ever important strength/weight/value ratio. Again , at this price range it would be tough to find better parts for your money. Now for the heart of this sweet ride , the frame and fork. Trek builds their XO frames with their Alpha Black aluminum . They then match the frame to their Race Lite cross carbon fork. Check out the pressed fit bb86 and lack of cross member at chainstay are to allow for more mud clearance ! Trek has thrown a large amount of technical aspects into these frames that riders and racers will really appreciate. A pressed fit bb86 bottom bracket was used to add stiffness to the pedaling platform and reducing a few grams for the frame. Frame mounted rear brake stop with barrel adjuster is a nice touch. Trek also added a rear brake stop with a tension adjuster included , this is great for making quick brake adjustments especially if a quick wheel change is needed ! For those of us that would use this bike/frameset for racing Trek runs the brake/shift cables on top of the top tube and has flattened the under side of the top tube for more comfort during shouldering. 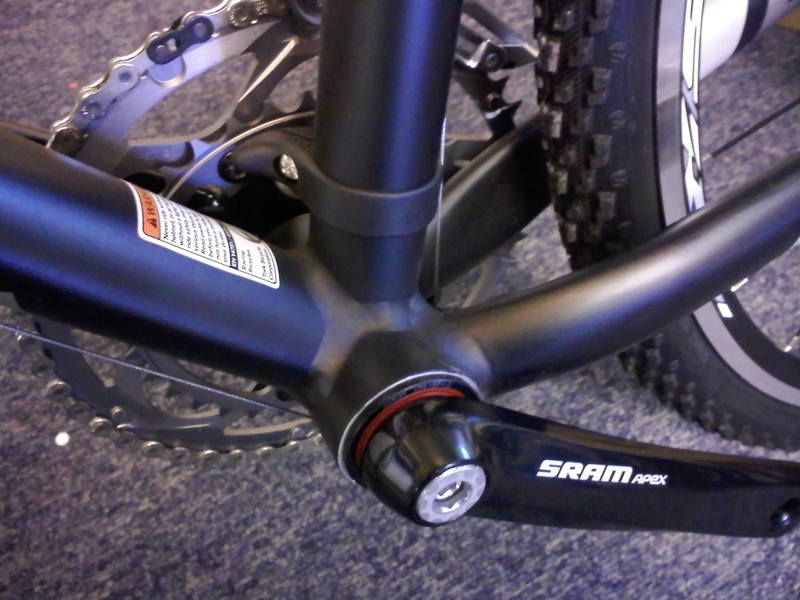 A fork mounted front brake stop is used to help reduce “fork shudder” under hard front braking ! Another nice feature Trek used is the fork mounted front brake stop to help reduce front “brake shudder” that sometimes plagues cyclocross bikes that are built with cantilever brakes. Due to the stiff yet compliant Bontrager carbon fork and fork mounted brake stop I noticed very little if any brake shudder form the front brakes while riding the XO . Overall this bikes rides very nicely as compared to other aluminum framed cross bikes I have ridden. 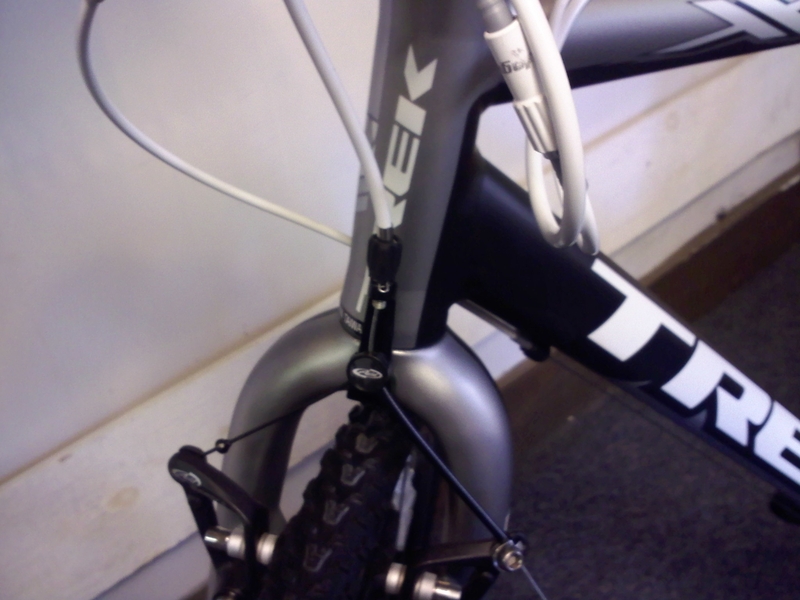 Trek payed alot of attention to wall thickness and butting when choosing their tubing for this frame. The XO also sports slightly flattened seat stays and a wishbone style seatstay/seat tube junction which adds lateral stiffness to the rear end under hard efforts but is still forgiving enough to allow you to remain in the saddle and apply power to the pedals over choppy sections. Steering is spot on and being a former elite level downhiller bike handling is a huge issue in choosing my bikes, if a bike tracks like a noodle I’m loosing ground and I’m not ok with that. The XO handles like it’s on rails , even taking on extreme off cambers like it’s on flat ground. 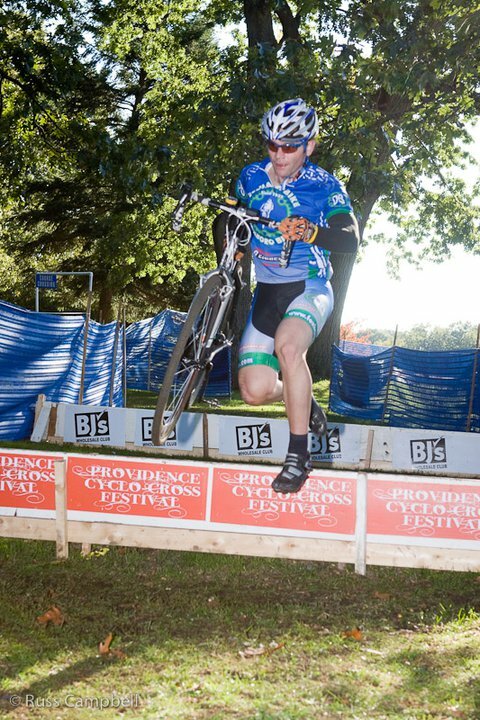 During the past race season I was able to pull of several crash defying passes simply to the Trek’s ability to hold a line. Where my fitness may have held me back in certain scenarios the XO simply did not and that to me is a testimate to a great bike. For those of us that would use the XO as a “jack of all trades ” bike Trek has included two water bottle mounts and removable fender mounts as well as chain watcher ! Simply put you would be hard pressed to find a better value all rounder in today’s market place. The XO 1 shown in this test is currently available for purchase in different frame sizes . Retail price is $1649.99 . Dedhambike.com for more info ! The XO will help get you to the podium ! Appreciate this post, it was the one that pushed me to recently purchased an XO 1 as well. I love my new XO 1. Curious, have you found or do you know of a set a fenders that will fit on the XO? I had a local Trek dealer put the Bontrager Interchange Nebula fenders on and they told me they couldn’t get it to mount, so I returned the fenders. Grats on the new bike. You made a fine choice . As far as fenders go I checked with the Trek folks and they tell me that the new Bontrager NCS fenders and indeed the Interchange Nebula fenders should mount up just fine. That’s straight form the “horse’s mouth’ so to speak. Another option would be to try something along the lines of the SKS Race Blade fenders. They are more of an easy on easy off type fender and may need a little tweaking to get them where you want them but it may be a good option. Wonderful news. Thank you for taking the time to answer my question. I appreciate the effort and answer. I’ve got a 2009 XO, I’ve put on full SKS mudguards by drilling 2 holes in the front part and cable tying them to the seattube just below the rear derallieur. I’ve used a small piece of inner tube and cable ties to support the guard near the rear brakes. Front guards just fit like normal. Has kept chain and mechs very clean.